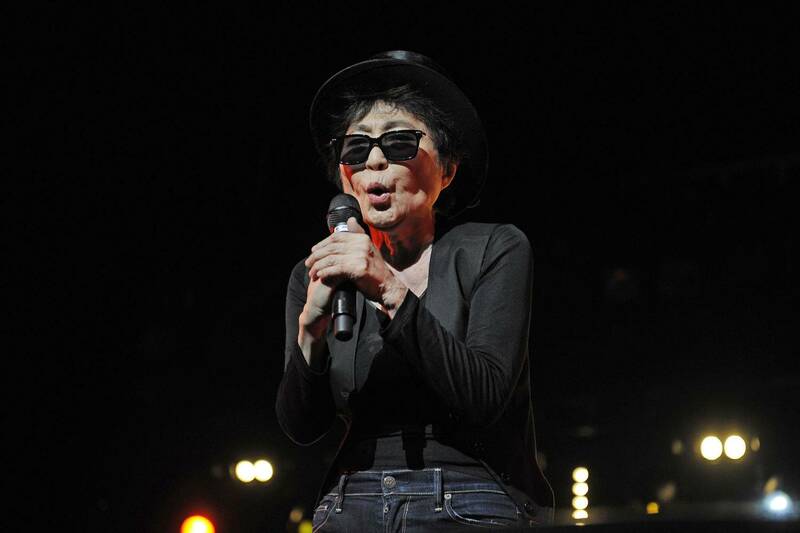 In honor of Yoko Ono‘s 82nd birthday, the singer has collaborated with Antony and John Zorn on two new limited edition 10″ vinyl releases. 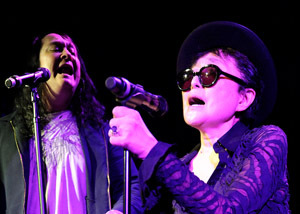 The first is called Antony & Yoko and features a duet on Ono’s “I Love You Earth”, along with Antony’s solo rendition of Ono’s “I’m Going Away Smiling”. 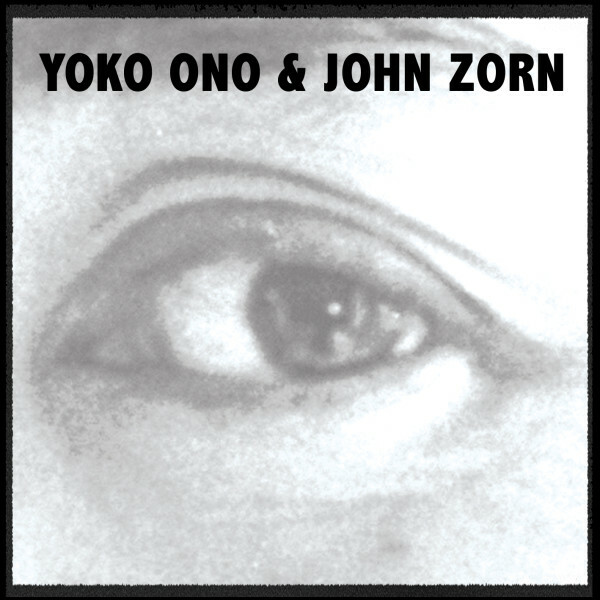 The second is called Yoko Ono & John Zorn, and features an improvisation between the two called “Blink” that was performed on WNYC back in 2012. More info here. 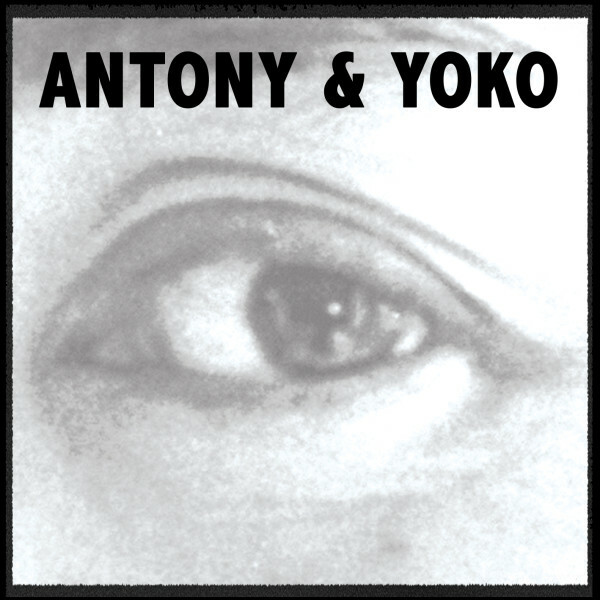 Antony interprets two powerful Yoko Ono songs in the studio, with Thomas Bartlett on piano, and joined by Yoko on a moving vocal duet on “I Love You Earth.” Antony’s interpretation of “I’m Going Away Smiling” is stark and haunting. 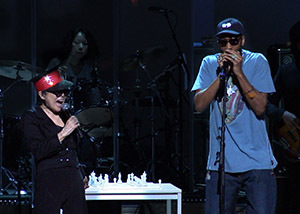 The first is called Antony & Yoko and features a duet on Ono’s “I Love You Earth”, along with Antony’s solo rendition of Ono’s “I’m Going Away Smiling”. More info here. 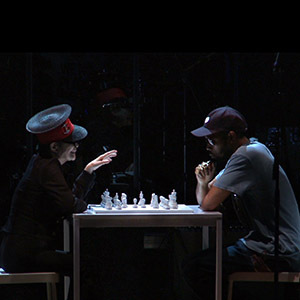 The second is called Yoko Ono & John Zorn, and features an improvisation between the two called “Blink” that was performed on WNYC back in 2012. Around 1968, Ono decided to create a band “that would never exist… that didn’t have a set number of members… that could accommodate anyone who wanted to play with it.” The name derived from a small three-dimensional work—composed almost entirely of transparent plastic objects—that John Lennon made in response to Ono’s initial idea. 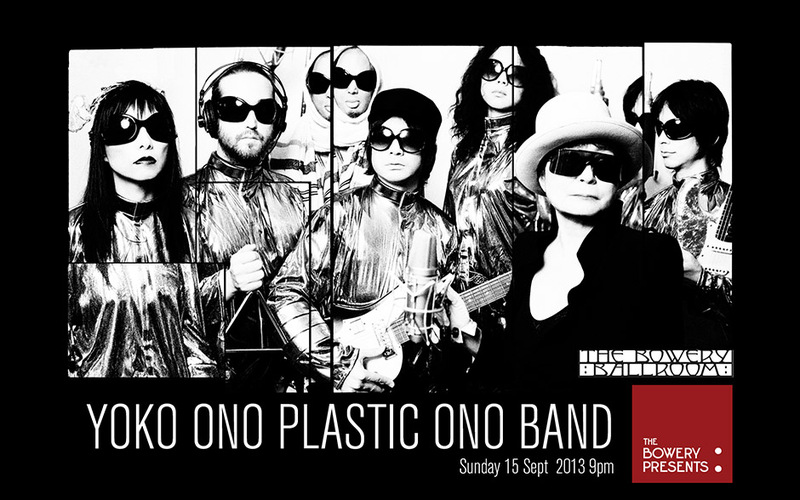 Although conceptually Plastic Ono Band had no members, in practice it had a flexible lineup. 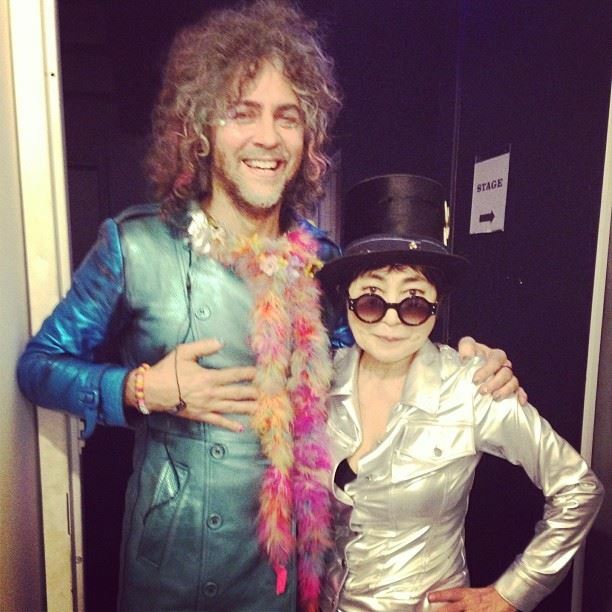 Thank you, Flaming Lips for joining YOKO ONO PLASTIC ONO BAND for The Late Show with David Letterman and suprising me, in return, by inviting me to The Flaming Lips sold out show last night at Terminal 5 and playing DON’T WORRY KYOKO with me. That was such a sweet gesture. It was great fun! Limited to 1,000 one-sided 10″ singles with a Yoko Ono etching on the flip side. 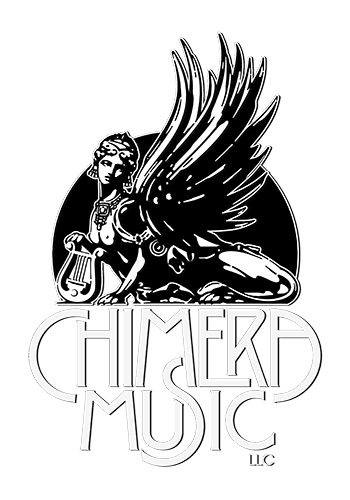 All net profits of the download and vinyl sales will go to The Children’s Literacy Society, which provides after-school enrichment programs for at-risk children in Staten Island, NY. 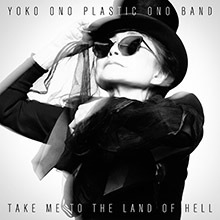 A rare performance by YOKO ONO PLASTIC ONO BAND, celebrating the release of the new album TAKE ME TO THE LAND OF HELL. This show marks the pinnacle of an astonishing bout of creativity for Ono, who celebrated her 80th year with major museum retrospectives in Europe, her 10th #1 hit on the Billboard Dance Chart, the publication of her instruction book Acorn, and curating the hugely successful Meltdown Festival in London. Available September 17th on vinyl, CD & digital download. 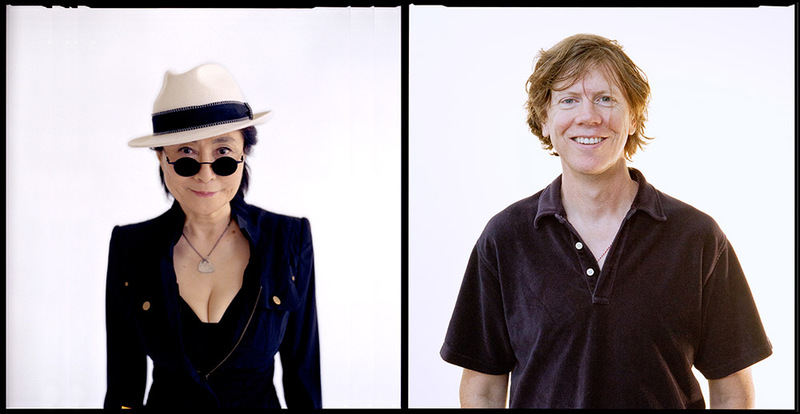 Yoko Ono & Thurston Moore are playing 4 Festival dates in August 2013, combining vocals, guitar, drums and spectacular visuals from Yoko and Thurston’s film archives. More on Yoko & Thurston here.